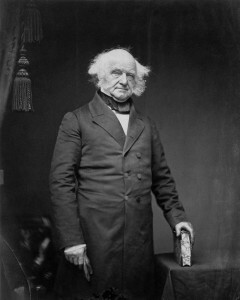 Van Buren had served as a senator from New York, governor of New York, and secretary of state during President Andrew Jackson’s first term. He was Jackson’s vice president during his second term, from 1833 to 1837 and, handpicked by Jackson, was elected president in 1836. Seeking to avoid civil war, he tended to placate the southern slaveholders, although, after being defeated for reelection in 1840, he unsuccessfully ran for president in 1848 as the candidate of the antislavery Free Soil Party.